The rapidly expanding natural gas industry drilling in the Marcellus Shale has developed a tremendous need for water resources. 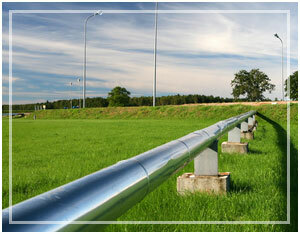 Each well may require several million gallons of water to develop the natural gas well. GeoServices’ personnel routinely aid the natural gas industry in locating and securing water supply sources to frac Marcellus shale wells. GeoServices has experience obtaining water sources from surface water, ground water, and public water supplies. We have completed surface water withdrawal applications, ground water withdrawal applications, and completed permit by rule applications with the SRBC. Our staff of geologists has the experience and ability to locate and secure water sources needed by the natural gas industry.